Don’t buy Surfshark if you are looking for a VPN that has TOR over VPN, If that’s the case check out our review on ExpressVPN. Surfshark is a new VPN that has been creeping up the charts since its release in 2018. Surprisingly Surfshark, although young, has is excelling in several major aspects of the field and is well on its way to becoming a top provider. In their first year, this company has managed to significantly boost their server numbers and locations, expanding from just a few select servers in 14 countries, all the way to more than 500 servers in over 50 countries. 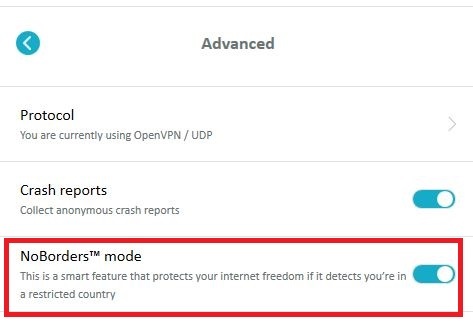 As this VPN is based in the British Virgin Islands, a country located outside of the 5/9/14 Eyes Alliance, it doesn’t have any obligations to retain your data and ensures a strict no logs policy is followed at all times. Other impressive security features include 256-bit AES encryption, OpenVPN default protocol, and IKEv2. If you’re worried about potential leaks, Surfshark should calm your nerves with its automatic kill switch, DNS/IP leak protection, and CleanWeb feature, which prevents ad-tracking, pop ups, and malware from flooding your device. 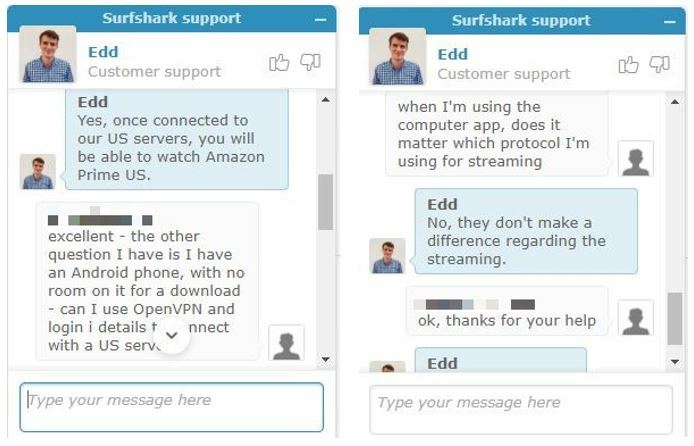 If you’re chasing a VPN for its content unblocking abilities, then Surfshark is most certainly the right service for you because they are on par with most of the top providers and they can gain you access to all of the major streaming websites including, but not limited to, Netflix, Hulu, BBC iPlayer, Kodi, and Amazon Prime Video. They also allow you to connect an unlimited number of devices simultaneously and have dedicated applications for almost every platform such as Mac, Windows, Android, iOS, Linux, and even some web browsers. Surfshark also features unique applications such as their MultiHop mode, which allows uses to connect through multiple countries at once for the utmost privacy, and their NoBorders mode, which was designed to allow users access to the free internet in restricted locations. The VPN’s main strengths are its incredibly fast speeds and overall simplicity, making it extremely user friendly and a pleasure to use. Surfshark claims to offer its users some of the fastest speeds around, so we put them to the test to find out just how truthful they were being. We discovered that the service isn’t falsifying this information at all, as when we ran a speed test on multiple servers, we found all of them to be comparable with our normal rates. Even when we connected to servers on the other side of the world, it only slightly affected the speed of our connection and didn’t cause any buffering on streaming sites. We didn't want to just rely on the raw numbers of the speed tests, so we started watching shows on Netflix and CBS while connected to the US servers and had no buffering, grainy videos, or annoying slow downs that are common when streaming on a slow internet. Fast speeds are often common in newer VPNs as their servers aren’t crowded with a large customer base yet, but although this VPN has been running for some time and slowly growing its user numbers, we haven’t noticed a drop in its speeds like you’d normally expect in these situations. As mentioned above, Surfshark was able to dramatically increase their servers in the past year to more than 500 in over 50 countries. That’s ridiculously impressive for a company that only launched recently as you don’t usually see such a rapid growth in this amount of time. This decision to up their server count was a good idea, as it has had a major effect on the popularity of the service. Servers are a critical aspect of any VPN, and you can see that Surfshark takes the quality and range of their servers quite seriously. Their servers are based in most major countries and they have a comprehensive list of available options located in the US, UK, Australia, Hong Kong, Europe, and more. Surfshark promotes its ability to provide uninterrupted and unlimited streaming, meaning that they don’t just allow you to gain access to Netflix, but also support P2P (player to player) and torrenting sites. Even TOR sites are compatible with Surfshark’s servers, meaning that if you’re looking for extra privacy than you’ll be able to connect through TOR for an added layer of encryption. While all of these aspects are great, we were most intrigued by the MultiHop feature Surfshark offers. This will allow you to connect to a server through multiple countries, taking your IP masking and footprinting to the next level. Downloading and installing Surfshark really is a breeze, no matter what device you’re using, as they have created dedicated apps for most major platforms including Mac, Windows, Linus, iOS, Android, FireTV, Chrome, and Firefox. Their design is simple yet effective, and its intuitive nature is perfect for those new to using VPNs. Searching for and switching to different servers is straightforward process and it’s super easy to find and activate their extra features like CleanWeb, NoBoarders, MultiHop, and the kill switch. Surfshark has no issues bypassing the strict geo-blocks on your favorite streaming sites such as Netflix, Hulu, BBC iPlayer, and Kodi. Paired with their unique feature of unlimited devices, you’ll love using this VPN to keep yourself protected and safe while watching your movies and TV shows. 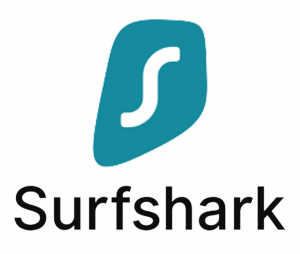 Surfshark is also one of the very few VPN services that have hired an independent cyber security company to audit their product and provide users with a testimonial. 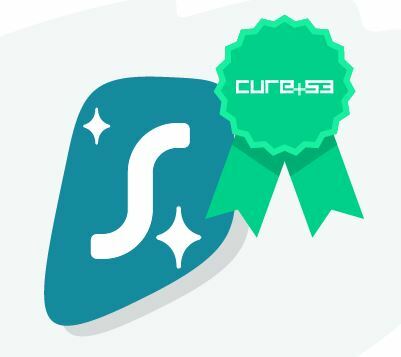 Cure53, a leading cyber security firm, went through all of Surfshark’s privacy and security features and were highly satisfied with what they discovered. They stated that Surfshark had pleasantly surprised them with the stance they had taken on security and even complimented their strength. This endorsement speaks for itself and sets out Surfshark from the crowd. With Surfshark you receive round the clock support with their incredible customer service team. You can get in contact with them at any time of day via their live chat feature and their support staff will provide you with helpful answers. Their team will help you to navigate the service with ease and aren’t going to leave you with lingering questions. You can also find any answers you need on their FAQ pages, troubleshooting and set up guides, and billing information page. So no matter the issue you’re facing, Surfshark is there to help you out. We tested out their response times and received a reply within minutes of sending through our questions, regardless of when we messaged them. A helpful team member always gave us a quick reply and sent through a link for us to follow up if needed. This is the perfect balance of providing you with the answers you need without bombarding you with irrelevant information. If you're looking for a two year subscription than you won't be able to beat Surfshark's amazing price. For less than a cup of coffee you can get complete online protection and anonymity, as well as the power to bypass the major streaming sites. Their monthly cost is a bit on the expensive sode, but it seems that the cost is worth the service they provide. 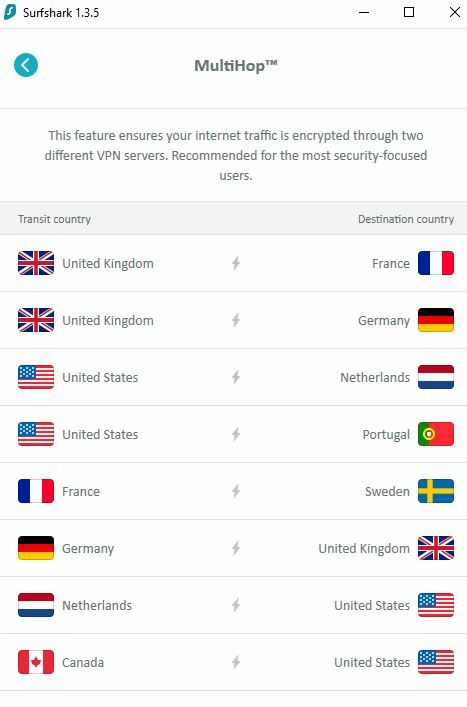 They’re undoubtedly one of the highest quality VPNs available on the market and are comparable with industry legends such as ExpressVPN and NordVPN, despite being a fairly new addition to the community.